In 1979, his first year in talk radio, Alan Colmes unintentionally changed national policy during the Iranian hostage crisis by calling the American Embassy and speaking to a "student" identified as "Z". After that program, the US banned calls to Iran. During the ensuing years, Colmes spoke to luminaries like former President Bill Clinton and former President George H.W. Bush, and was stood up by the Reverend Al Sharpton at least four times. Colmes was the first media person to interview seduced secretary Jessica Hahn during the Jim Bakker scandal -- he accomplished this by promising her a stretch limousine with color TV as her transport to and from the station, plus a sandwich from the Carnegie Deli. He was the last person to speak on radio stations WNBC, WMCA and WEVD before each closed or changed its format. WNBC went off the air in 1988, WMCA was sold to a religious broadcaster shortly after Colmes began there, and WEVD was leased to Disney to cover its ESPN format. Colmes found himself heard in a new and unwelcome (to him) format when rapper Chuck D of Public Enemy took an earlier interview with Colmes and sampled it in Fear of a Black Planet. 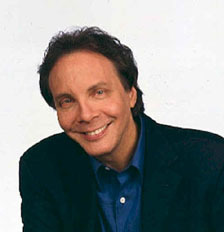 He threatened to sue, but could not, because Colmes did not own his own words -- the station did. He later stated in an interview that he and Chuck D "laugh about it". In October of 1996, Colmes moved to television as Sean Hannity's co-host on Fox News' eponymous Hannity and Colmes, where Colmes offered a centrist liberal counterpoint Fox News opposite the conservative Hannity. In 2003, Fox News brought Colmes back to radio with the nationally-syndicated Alan Colmes Show, and in 2009 he quit Hannity's TV show.